New May 24th, 2018 - a Mobile friendly site index page with links to my articles on mobile friendly sites. Check out our new Landing Site that is user friendly on mobile devices for an overview of the work of Codependency Recovery / Inner Child Healing Pioneer Robert Burney - including links to his articles on websites that are also user friendly on mobile devices. To skip announcements and go to index of pages click here. Announcing a recording of my Intensive Training Day Workshop is available as an MP3 download along with a 42 page pdf Companion Guide. I am now posting quotes & news regularly on my Facebook page. New & News: I am afraid that I need to cancel the workshop in Gilroy next Saturday the 27th. I have some challenging things going on in my life that I am asking for help with and it didn't work to do Gilroy this weekend. My next workshop is in Morro Bay on June 16th. New & News March 27th, 2019: Announcing a new date for Workshop in Morro Bay on May 26th, testimonials from March Morro Bay workshop available on Intensive Testimonial Page, and the latest blog: There are times when life events feel emotionally battering. I am reducing the price for the April 27th Intensive Training Workshop - which might be the last one in Gilroy - and offering a very reduced price for the Labor Day one for people who sign up in advance to insure that one will happen. New & News February 20th, 2019: Announcing a new date for Intensive Training Workshop in Gilroy on September 2nd 2019. A Church Group booked the meeting room that I normally use, for the rest of 2019. Since there was no other space at this motel to do my workshop, I considered just stopping doing the ones in Gilroy. I didn't really want to do that because there are a lot of alumni in the Bay Area / Silicon Valley - and I didn't want to look for a new place. So I decided to try offering it on a Holiday Monday, this one is scheduled for Labor Day. So, we will see how that works. Testimonials from February workshop available on Intensive Testimonial Page. New & News Febrary 14th, 2019: Announcing a Valentine's Update: Joy to You & Me, Joy2MeU, and Joy2MeU2 Update Newsletter. Do you want to have healthier relationships? Are you sick and tired of feeling like your own worst enemy? New & News December 15th, 2018: Announcing additions to the Holiday Sale page - MP3 downloads and Romantic Relationship book. I also added some links to sites where it is possible to watch video's of interviews I have done for free. New & News Nov. 23rd, 2018: Newest blog: Intellectual Discernment - "have to" and the Holiday Season. New & News Nov. 4th, 2018: Announcing a Holiday Sale page - and a picture added to story of the Leap of Faith that led to publishing The Dance. New & News September 19th, 2018: Announcing newest Blog: The True Nature of Love - part 4, Energetic Clarity. New & News September 4th, 2018: Announcing a new date for Intensive Training Workshop in Gilroy on December 29th 2018. Testimonials from September workshop available on Intensive Testimonial Page - and special offers for Workshop on Oct. 20th. Also, newest Blog: The True Nature of Love - part 3, Love as a Vibrational Frequency. New & News August 13th: Announcing Links to video & audio versions of interview Robert did for the online event: Overcoming Codependency. Also special offer for Life Changing Telephone / Skype Counseling. I hope this finds you well. You and I had a few phone sessions over a year ago. Since that time, I have stopped drinking, focused on living in abundance and have allowed the universe to guide my life. That being said, my income has doubled and is still climbing, my relationship has improved, abundance has filled my life and I find that I am much happier person. I am more confident than I've ever been and am actually excited about the future. These days, I look forward to each day and all of the possibilities that are available to me. I was compelled to send you a gift today to express my gratitude for being such a beacon of inspiration. I am grateful for you and the gifts you have enabled me to receive and I send you joy and blessings for being a such a spiritual being. Joy, wisdom & harmony." - in response to page I posted for my 70th birthday on July 23rd, 2018. New & News July 9th: Announcing a Special Birthday Sale page to help my finances here as I approach my 70th birthday. Egad! :-( I never thought I would make 30. New & News June 17th: Announcing that I have posted my first Update Newsletter in more than 6 years - with announcements about the new website, an appearance on an online recovery conference, what's happening in my life, and special offers for books, phone counseling, and upcoming workshop. I also recently updated my page: Training for Counselors / Therapists / Coaches / Healers in Robert Burney's Inner Healing Formula. New & News May 3, 2018: Last two Blogs are from Romantic Relationships ~ The Greatest Arena for Spiritual & Emotional Growth Chapter 20 Wedding Prayer / Meditation on Romantic Commitment "Love in that moment as if you have never been hurt" and Chapter 21 - Uncover, Discover, Recover. New & News: Announcing a new date for an Intensive Training Day in Gilroy on July 28th. I have added the testimonials from the April workshop in Gilroy to the Intensive Testimonials page. New & News September 10, 2017: I have moved back to Cambria - hurrah! I have updated my Darien page to explain what has happened and why - and in the course of doing that I published a blog with some things I had written on that page: The Age of Reason - Darien and the Tooth Fairy. New & News July 22nd, 2017: Announcing that I have posted a page with a message from the past and one from the present as a way of honoring the 30th Anniversary of my 39th Birthday. New & News July 12th, 2017: Announcing that I am changing the date for the next Intensive Training Day in Encinitas to August 6th. Now that I have my grandson Darien living with me I wanted to create the possibility that we might be able to move back to the Central Coast of California. (I updated my Darien page for the first time in 5 years - and included some links to pages where I talk about my relationship with the Central Coast.) I lived in Cambria for many years and loved it - and always wanted to move back up there. I have stayed in San Diego however to be close to Darien in case he needed me. Now he needs me, but since he is living with me, we can move together - and it seems the schools there are a lot better than down here. It is more likely we will move to Morro Bay than Cambria - because it is a bit more affordable, but it will be expensive to move and I am not sure if we will be able to do it this summer. It is possible we will need to stay where we are for another school year. If we do move this will probably be the last Intensive Training Workshop that I will do in San Diego. I would put the odds at about 75% we stay, and 25% we move at the moment - but if I had left the date on the 20th it would have been the day before school starts up there, so am making the change to open up possibilities. New & News June 3, 2017: Today is the 31st anniversary of my conscious commitment to codependency recovery - The Story of "Joy to You & Me"
New & News May 23, 2017: Announcing a new date for an Intensive Training Day in Encinitas on August 20th. I have added the testimonials from the May workshop in Encinitas to the Intensive Testimonials page. New & News April 24th, 2017: Announcing that I have changed the date for the next workshop in Encinitas from April 30th until May 21st. I have my grandson Darien full time now, so needed to push the workshop back a few weeks while sorting out my new schedule. New & News April 9th, 2017: A page with special offers for telephone / Skype Counseling that is available. New & News January 23rd, 2017: New Blog: "I don’t have to know that today. I don’t have to decide that today. I can let that go for today." New & News November 7th 2016: Special Offer for Lifetime subscription to Dancing in Light and my other subscription area Joy2MeU Journal are for sale for $9.95 each or both for $17.95 Millions of words of content not available on Joy2MeU. New & News: August 28th 2016: I have a special offer of free copy of the MP3 of my recording of Codependence: The Dance of Wounded Souls "An Audio Spiritual Experience" with orders for 2 of my books. New & News August 17th, 2016: I added the latest batch of testimonials (for the first time since May 2015) from people whose lives have been changed by my book, ebook, audiobooks and website to the Testimonial page. New & News July 25, 2016: I have added the testimonials from the workshop in British Columbia to the Intensive Testimonials page - and a link to my Working the Third Step page in honor of my birthday. New & News February 3rd, 2016: Announcing I have published Kobo ereader versions of my next 3 eBooks Romantic Relationships ~ The Greatest Arena for Spiritual & Emotional Growth eBook 2 Deeper Within (emotionally) & Further Out (metaphysically) From Fear of Intimacy to Twin Souls, The Law of Attraction - Misunderstood & Misinterpreted, and The Metaphysics of Emotions - emotional energy is real. New & News January 11th, 2016: The Intensive in British Columbia was a great success - and we are starting to plan for another one in this coming summer (when it will be a little warmer. ;-) I have added the testimonials from that workshop to the Intensive Testimonials page. January 3rd, 2016: Also announcing that I have published Kobo ereader versions of my first 3 eBooks (and will have the rest done soon) Codependence: The Dance of Wounded Souls, Codependency Recovery: Wounded Souls Dancing in The Light Book 1 Empowerment, Freedom, and Inner Peace through Inner Child Healing, and Romantic Relationships ~ The Greatest Arena for Spiritual & Emotional Growth eBook 1 Codependent Dysfunctional Relationship Dynamics & Healthy Relationship Behavior. New & News January 3rd, 2016: Today is my sobriety birthday. I have been clean and sober since January 3rd,1984 - an amazing 32 years. On this page of my website I talk about early recovery - and include quotes from different articles in which I talk about getting sober. New & News December 15th, 2015: Announcing a new date for my Intensive Training Day workshop in Gilroy California (the Garlic Capital of the World) on April 3rd 2016. New & News December 12th, 2015: My latest blog: Codependency Recovery: Wounded Souls Dancing in the Light Book 2: A Dysfunctional Relationship with Life Chapter 2 Romantic Relationships & Toxic Love ~ Marriage & Divorce. New & News October 27th, 2015: I have added new information about the January workshop in British Columbia, Canada and published a new Blog: Codependency = conditioned reactive programming ~ Pavlov's Dog. New & News October 5, 2015: Announcing the first two Intensive Training Workshops for 2016 - in British Columbia Canada January 9th 2016 and Encinitas California February 20th, 2016. Also I have added testimonials from October workshop to the Intensive Testimonials page. My latest Blog is To the Parents of Alcoholics and Addicts. New & News July 19, 2015: I just posted my latest Blog Setting Personal Boundaries - protecting self. New & News April 13, 2015: Announcing the publication of an Audiobook of Robert Burney’s eBook The Law of Attraction - Misunderstood & Misinterpreted A Larger Spiritual Paradigm now available on Audible, Amazon, and iTunes. (The Law of Attraction - Misunderstood & Misinterpreted is available as an ebook in Amazon Kindle format as well as Barnes & Noble Nook format.) The next 12 people who send me a request can get a free complimentary copy of this Audiobook. Go to this News page for the info. "I am publishing this book because I believe that the way the Law of Attraction is being taught by most people who are teaching it today is not ultimately Loving. I believe it is being taught in a way that makes many of the people hearing it feel ashamed; in a way that causes people to focus on reaching a destination at the expense of being present in the now; in a way that reinforces the delusion that there is something inherently wrong with being human, with human beings. It is also being taught by most spiritual teachers in a way that discounts and devalues emotions and emotional healing." New & News February 15th: Announcing there is now a Korean Language version of Codependence: The Dance of Wounded Souls. Other languages it is available in include: A German Translation that is available through the publishers website or through Amazon; there is a Dutch Translation that is offered as a free download; an Italian eBook version that is available through Amazon; and a French translation should be coming soon. New & News February 26th, 2013: Announcing the publication of Robert’s newest eBook: The Metaphysics of Emotions - emotional energy is real. This ebook is the follow up to The Law of Attraction - Misunderstood & Misinterpreted - and the two ebooks will be combined in one hard copy book. The Metaphysics of Emotions - emotional energy is real is available in Amazon Kindle format. This eBook is the first of two that will be combined and published as a hard copy book in February. In this one I am talking about what I see as misinterpretations and misunderstandings in the way the Law of Attraction is being taught that actually feed into people’s codependency. Here is a quote from the eBook about why I wrote it. I address the emotional component in the second eBook - The Metaphysics of Emotions - which could be done this month but more likely February. I will then be publishing both ebooks in one paperback book: The Law of Attraction - Misunderstood & Misinterpreted A Larger Spiritual Paradigm - including The Metaphysics of Emotions. "The audio version is absolutely a mind-blowing audio spiritual experience! You rock, man!! It's one thing to read the articles on the clinically electric computer screen and completely another level of involvement hearing the man himself utter his own words of wisdom and spiritual alchemy. One can tell that you aren't just mumbling through a book you've written; while listening it becomes certain that the message truly is your spiritual truth and not just some neatly packaged intellectual mind job disguising itself in spiritual language. An enormous THANK YOU for sharing your story and perspective for all the world to see, I truly appreciate it, man!" The version that I did is for sale right now as an MP3 download. New & News July 23rd, 2011: Codependency Recovery: Wounded Souls Dancing in The Light Book 1: Empowerment, Freedom, and Inner Peace through Inner Child Healing (aka A Formula for Spiritual Integration and Emotional Balance) is now published and I will receive the first copies on July 27th. 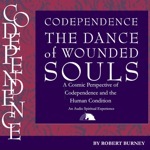 Codependence: The Dance of Wounded Souls "An Audio Spiritual Experience" as MP3 download Special Offers page with offers for Telephone Counseling, Intensive workshop, subscription areas of site - as well as various combination of these with my books. Intellectual Discernment - Choices, not "shoulds"
In September 2005 I created this new section of my site. It includes 28 pages that were formerly on Joy2MeU.com that are now in this password protected pay to view section of the site - including the last 13 chapters of Codependency Recovery: Wounded Souls Dancing in The Light Book 2 A Dysfunctional Relationship with Life, 10 Chapters from the online book: Attack on America - A Spiritual Healing Perspective and Call for Higher Consciousness and the final 4 articles of the series of articles on The True Nature of Love. Energetic Attraction - emotional familiarity or Karmic connection? The Story of "Joy to You & Me"
This is an index page of pages that are primarily informational while those above are content. The links below are to Update Newsletters - some of which contain quite a bit of content about Robert's process in addition to announcements about what has been added to Joy2MeU and news of Joy to You & Me.